More and more people are trying the river cruise phenomenon. What exactly is a river cruise? Why does it attract so many different types of travelers? What makes them so popular? And most importantly, how can YOU experience this incredible way of traveling? Descriptions and benefits of 8 top river cruise lines, including Europe and the U.S. 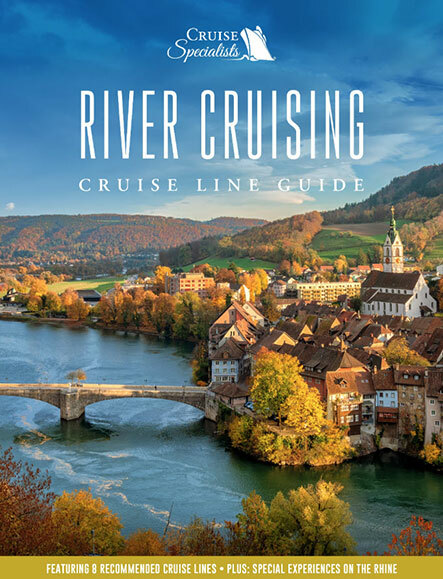 This is your guide to finding out why a river cruise is the most convenient, enjoyable and enriching way to travel to some of the world’s best inland destinations. Get your free copy from Cruise Specialists now.